Live Town Hall Conference Call, Feb. 17. All APWU members, active, auxiliary and retirees are essential to securing a good contract and saving America’s postal service. The APWU is inviting union members to participate in a live Town Hall Conference Call with President Dimondstein on Feb. 17, to discuss negotiations and how union members can join the fight. To take part, register here. Participants will be able to select from four times. The call is expected to last approximately 35 minutes. I was delighted to hear from a number of retiree chapters that plan to hold National Contract Campaign Tailgate parties to raise awareness among our members and communities. Over the coming weeks the APWU will provide updates on our campaign and how you can help. Take the first step and register for the live Town Hall Conference Call, just click here to register. 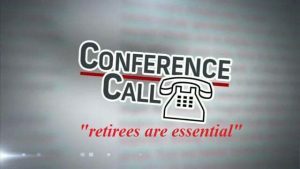 This entry was posted in Retiree Business and tagged February 17, National Contract Campaign, raise awareness, retiree chapters, retirees are essential, Town Hall Conference Call. Bookmark the permalink.